Pasternak & Fidis is proud to continue support for the Washington School for Girls. 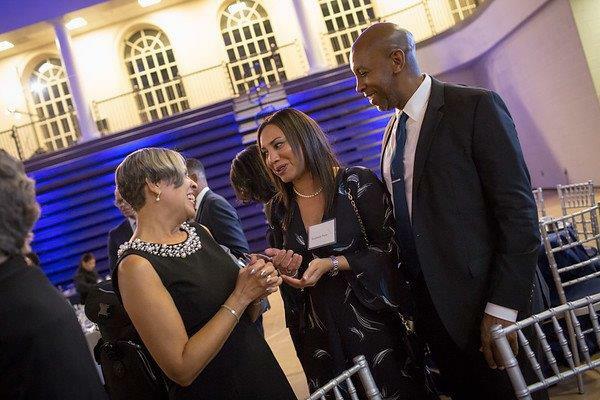 Several attorneys and their guests attended WSG’s gala at Trinity Washington to celebrate 20 years of Courage. Partner Stephanie Perry, pictured (center) in the photo below with husband Tracy and WSG President Dr. Beth Reaves, serves on the Board of Trustees at the school. WSG is an all-girls, tuition-free private school located in Anacostia, D.C. that provides education and support to 3rd– through 8th-grade students and their families in order to prepare them for success in high school and beyond.